Why live in an ordinary community when you can live in Spanish Cove! Live, play and relax in our small community on Lake Houston. The archway entrance welcomes you home to your spacious wooded acreage and custom build home. Located just 45 minutes from Downtown Houston. Spanish Cove is just a few miles away from every luxury and every necessity, including shopping, dining, medical facilities, schools, major thoroughfares and more. Additionally, Bush Intercontinental (IAH), one of the country's largest airports, is within minutes from Spanish Cove, facilitating travel to points throughout the world. 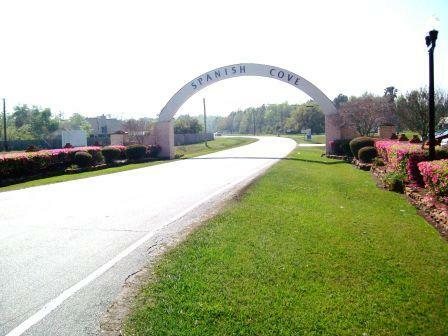 Spanish Cove Subdivision enjoys a private community Park, Pavilion, boat ramp and marina for use by residents and their guests all year around. The covered picnic area provides a scenic view for watching the sunset. Lake Houston is a premier lake for boating, fishing and family fun.